Stair lifts are mainly intended to take persons up the staircase with the ease of usability. The stair lifts are mainly utilized by the people confined to a wheel chair or who have knee problems or other medical conditions which make staircases difficult to climb. Moreover, they are easy to install. The most of this connect with an outlet in the wall like a lamp. 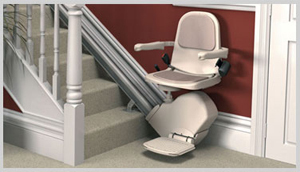 Stair lifts are also known by different names such as "stair chair lifts" & "stairway lifts".